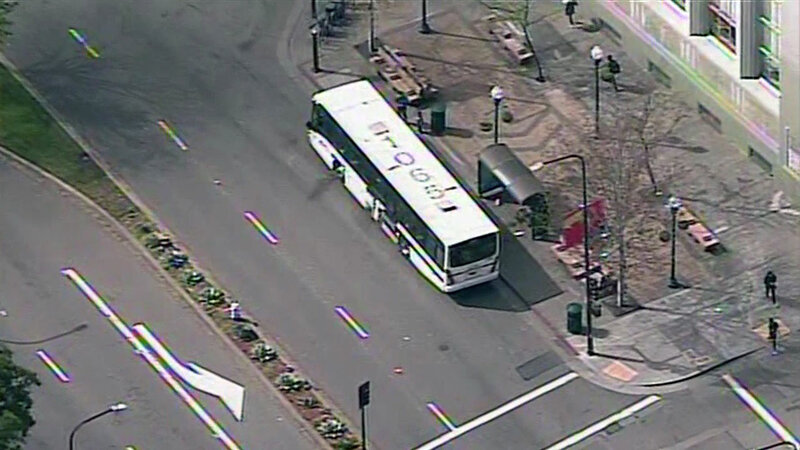 BERKELEY, Calif. -- A man who fell while apparently trying to board or exit an AC Transit bus at a bus stop in downtown Berkeley this morning has been taken to a local hospital to be treated for his injuries, a Berkeley fire dispatcher said. The incident occurred at Shattuck Avenue and Kittredge Street and was reported at 9:57 a.m., according to the dispatcher. AC Transit officials weren't immediately available for comment about the incident.